HOLIDAY TRAVEL INSURANCE: SMALL PRINT = BIG ISSUE! 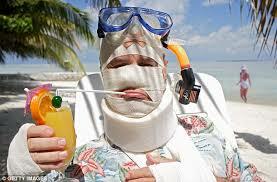 important thing before you leave (no, not your Euros or new swimwear), we’re talking about Holiday Travel Insurance! these are our top tips when it comes to staying safe on holiday! A backpackers insurance policy offers a longer trip duration and typically covers a broader range of activities than a standard insurance policy, so you could have greater peace of mind if your adventure is a little more ambitious than a normal holiday. So its perfect for your PlayaWay Adventure! 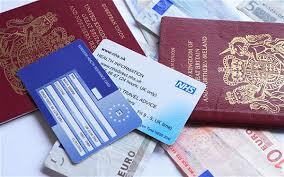 The Top Ten Things To Buying Travel insurance! That is the amount that you, the policyholder, has to pay towards any claim. If, for example, you claim for £600, and the excess is £150, the insurer pays out £450. If you set the excess high, the policy will be cheaper, but may not be worth having. Moneysupermarket.com, warns some policies charge an excess "per benefit section". "For example, if you were mugged, you could be charged £75 excess on the medical costs plus a £50 excess for loss of personal effects. Other policies charge just one excess per claim, which can work out much cheaper," it says.